March 25, 2015 – Tiny house advocates are harnessing the exponential rise in popularity of tiny houses by forming a new nonprofit organization, the American Tiny House Association. The mission of the association is to promote the tiny house as a viable, formally acceptable dwelling option for a wide variety of people. Its goal is to support tiny house enthusiasts who are seeking creative and affordable housing as part of a more sustainable lifestyle. • President William Rockhill is a tiny house builder whose family run company, Bear Creek Carpentry, has been operating in the Adirondacks since 1991 and has over 40 years of carpentry experience. • Vice President Robert Reed directs the Urban Sustainability Practice for Southface, an organization that works with consumers, the construction and development industry, and policymakers to forge market-based solutions for creating green jobs, clean energy solutions and sustainable communities. • Treasurer Elizabeth Roberts is an attorney for Atlanta Code Enforcement. • Secretary Elaine Walker is a blogger at Tiny House Community. • Director Andrew Heben has a background in urban planning and is the author of Tent City Urbanism: From Self-Organized Camps to Tiny House Villages. Heben co-founded Opportunity Village Eugene (OVE), a non-profit organization with a mission of creating self-managed communities of low-cost tiny houses for those in need of housing. • to network and cooperate with related government agencies, educational institutions, development organizations, and private industry to address these stated purposes. The association has state chapter leaders that will work with local zoning and coding officials to understand how regulations can be modified to accommodate tiny houses. Tiny house enthusiasts can join the association by going to the website. Half of all renters in the U.S. now face a "housing cost burden"—spending more than thirty-percent of their income on housing. Unlike social security, medicare, and food stamps, housing assistance doesn't serve everyone who is eligbile. A study by the Urban Institute shows that for every 100 extremely low-income renter households (people earning thirty-percent or less of area median income), there are only 29 affordable and available rental units. In fact, NOT A SINGLE COUNTY IN THE UNITED STATES has sufficient affordable and available housing to meet the demand of extremely low-income households. Why? It's a simple equation, really. We've created a situation where, by definition, housing is dependent on public subsidies in order to be affordable to people with little to no income—while concurrently failing to supply the funding necessary to meet the demand for these subsidies. And as long as this it the case, the product will always be millions of people either struggling to sustain a home or without a home altogether. Here in Lane Couny, Oregon, the waiting list for Section 8 housing has been closed for most of the last two years. The Housing and Community Services Agency of Lane County is opening that list for just one week, February 27 - March 6, 2015, during which applicants can apply to be placed in a lottery for a possible 400 to 600 vouchers. When this process was last used in 2013, approximately 2,400 applications were received. Not only are there not enough funds to reach the amount of people in need, Congress consistently underfunds the Public Housing Operating Fund for the affordable housing stock that does exist—delaying mainenance and exacerbating deterioration. 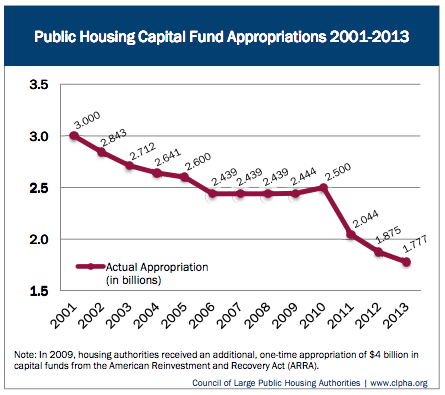 Meanwhile, the Public Housing Capital Fund—the only source of federal funding dedicated to the rehabilitation of public housing—continues to be slashed. The result: public housing demolition outpacing new construction and rehabilitation. 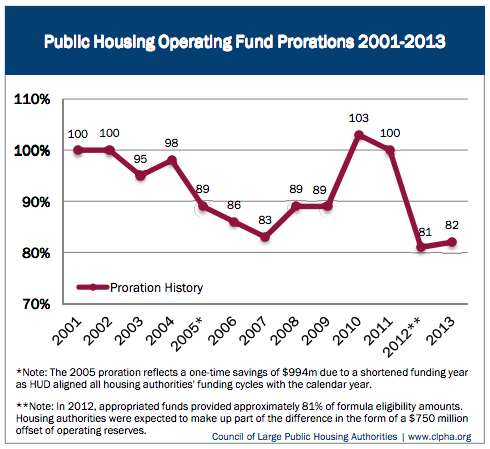 Between 1995 and 2008, more than 165,000 public housing units were lost and not replaced. 2) Create simpler, low-cost housing options that are not as dependent on public subsidies. Historically, the chronic underfunding of HUD public housing programs makes the first option seem like a bit of a pipe dream. And so—as you may have guessed by now considering the focus of this blog—I've decided to focus my efforts on the latter. We need more accessible and sustainable affordable housing options. Emerald Village will provide one such option in Eugene, Oregon through the creation of a low-cost, self-managed tiny house community.